Forget that old "marble" composition book! Keep your thoughts and dreams penned in one of these lovely, ruled journals. Or why not use one for gardening notes, Christmas card lists, recipes or travel notes? 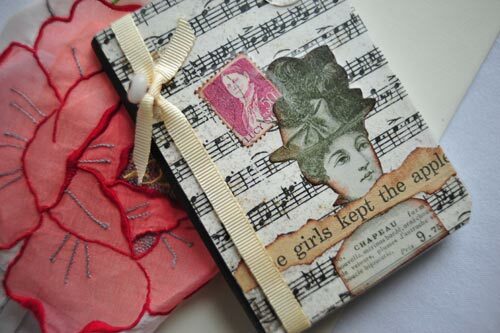 Each journal is covered in gorgeous styles of reproduction papers that range from Victorian to Retro and are embellished with postage stamps from years gone by. Journals can be customized to fit your particular need. Just ask! Available in 4 x 5 and 8 x 10 sizes.